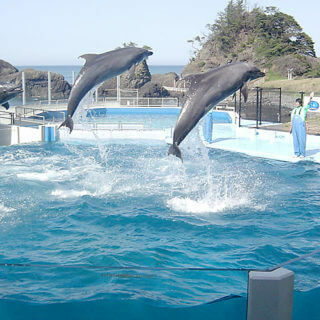 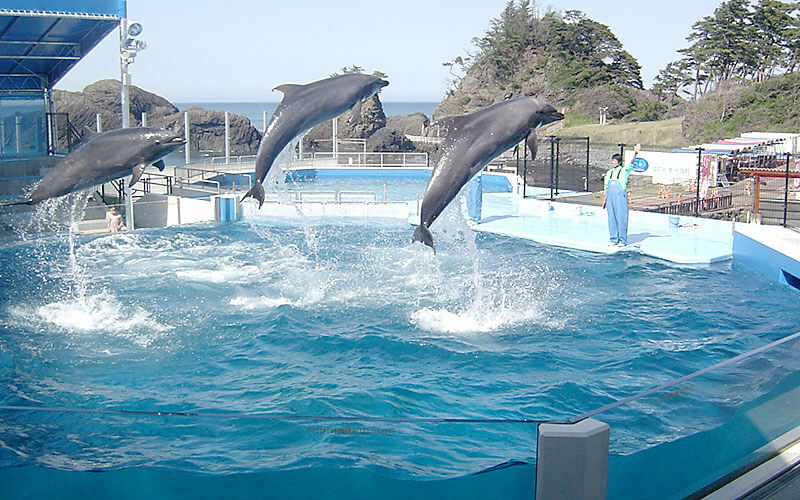 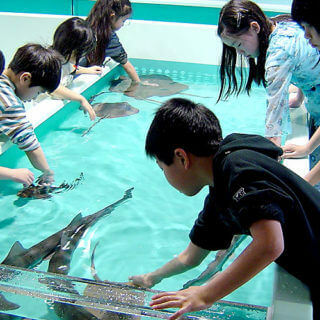 This aquarium offers an incredible variety of fun: enjoy watching the dolphin show and march of the penguins! 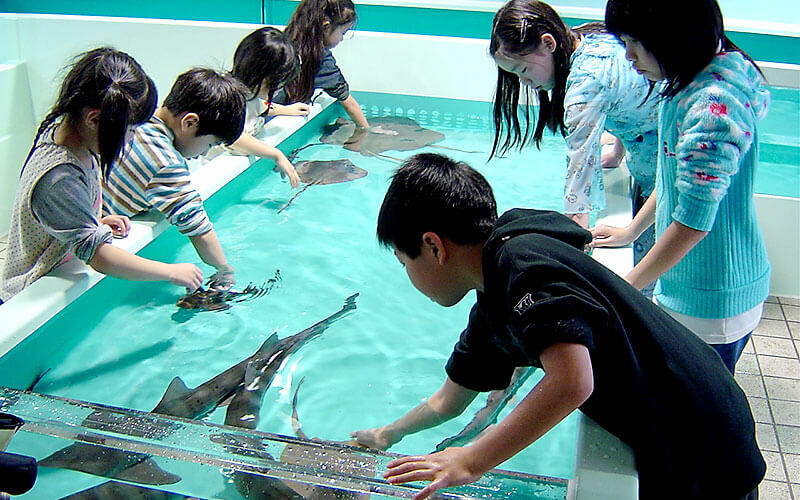 Get up close to, and even touch, a seal or dolphin! 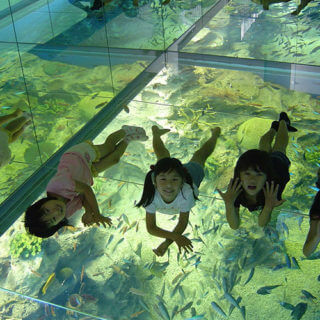 Feed fish and turtles! 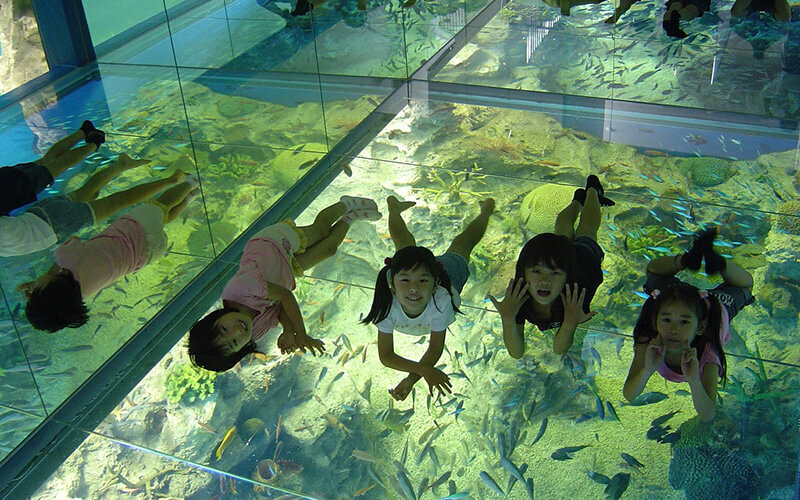 The aquarium's "Coral Sea" fish tank features a unique clear floor above it, allowing visitors to lie on the floor for a view that will make you feel like you're floating in the sea yourself.